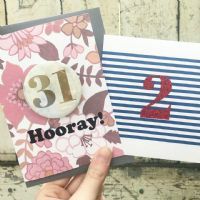 Katie has always been a creative person and began to make small batches of greetings cards in her bedroom, using old finds from vintage markets. After selling her wares at a few markets, the enquiries came flooding in and Katie decided to take the leap and make Oh Squirrel a full time job. 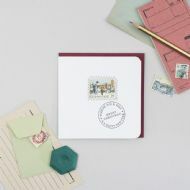 Inspired by vintage photographs, typography, botanical imagery and retro fabrics, Katie creates cards and stationery from her studio in London.